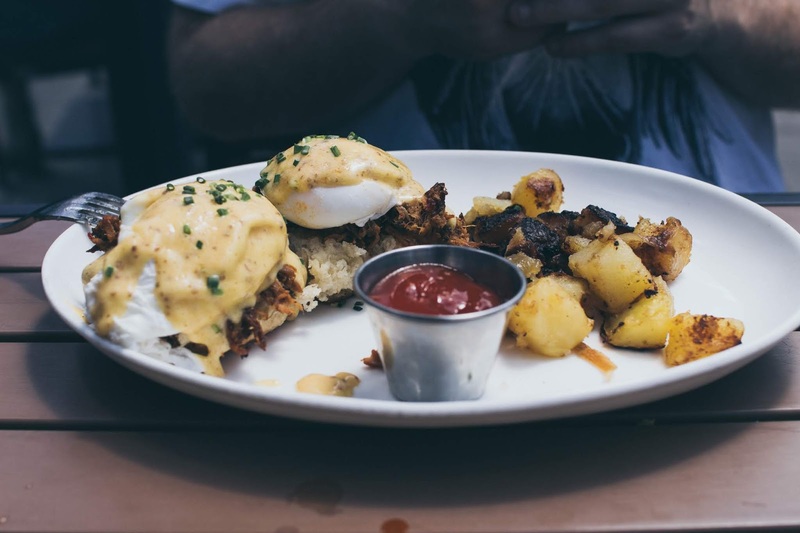 I used to brunch on a frequent basis, but in the past year my brunch pastime has really tapered off. 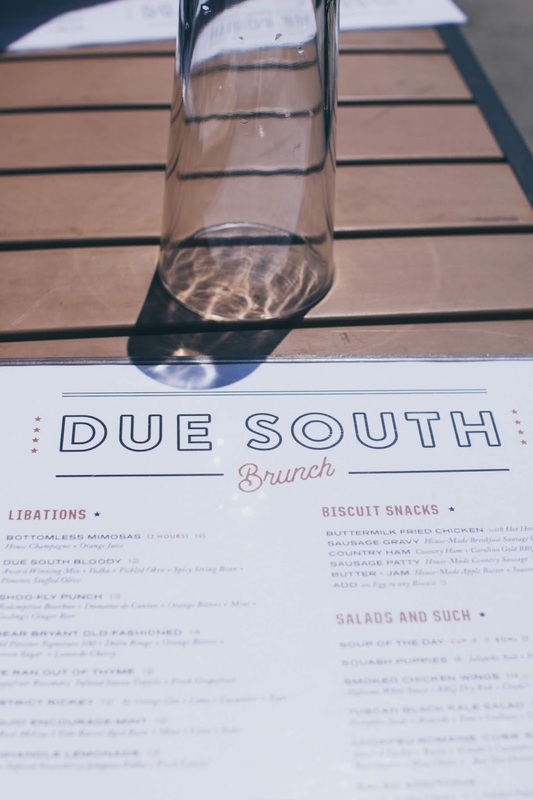 This past Sunday, I ended up at Due South in Navy Yard. After walking around the city for a few hours my friend and I found ourselves parched and hungry. 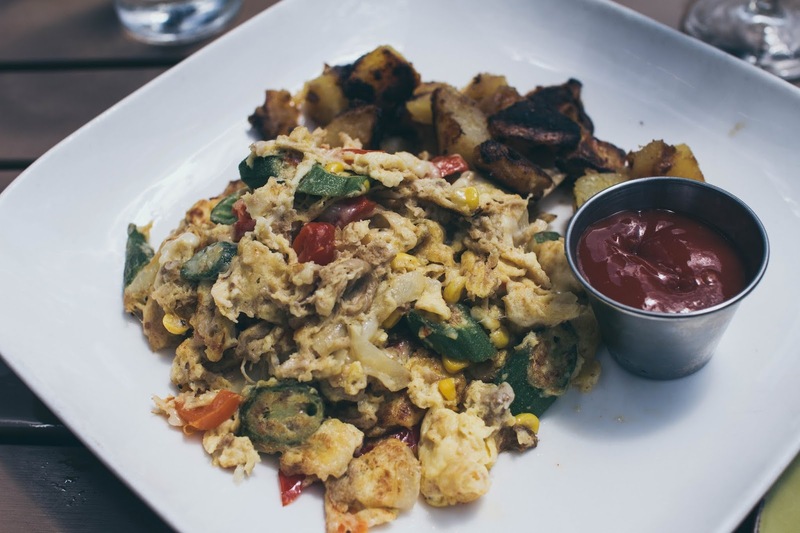 Due South is located right next to a cluster of restaurants that overlook the Anacostia River. 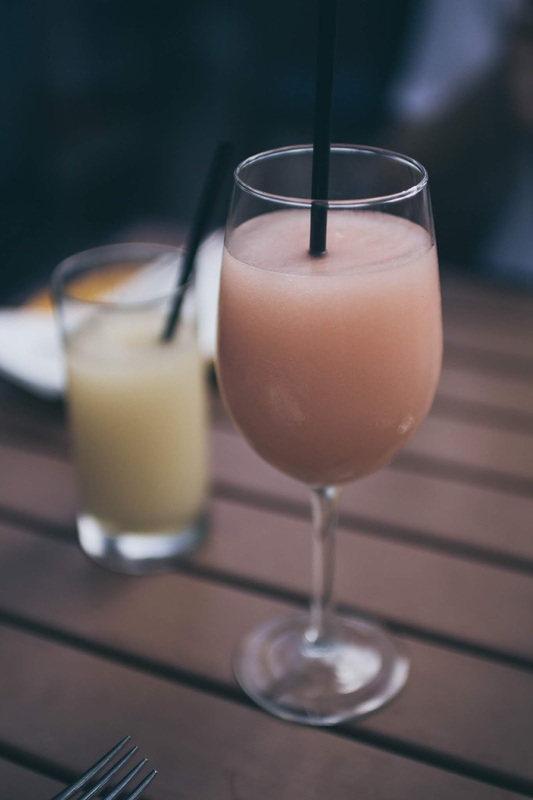 Though Due South offers bottomless mimosas for a great price ($16 for 2 hours) we decided to order their frozen beverages to start, the frozen mint julep and the frosé. Delicious. 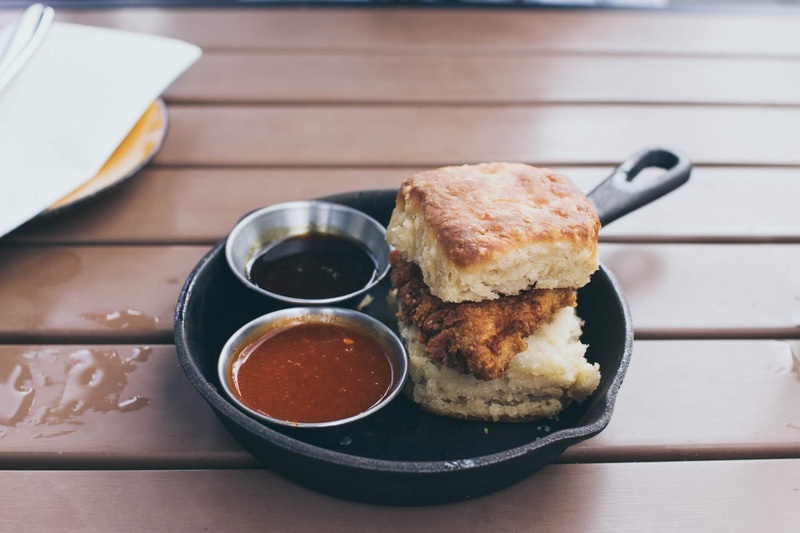 For an appetizer, we shared the buttermilk fried chicken biscuit with hot honey. The hot honey gave the homemade biscuit and fried chicken a great "kick". As for our main courses, I opted for the pulled pork scramble, and my friend went for the Due South Benedict. I would say that the scramble was a little underwhelming. I should have put a bit of the hot honey on there to add more flavor. As for the Benedict, it was a great mix with the poached eggs and fried chicken.